Perth Scorchers is one of the most talkative franchise team in Big Bash League competition which has already won highest numbers of BBL title and also the current champion of Big Bash. They have started the new season of BBL with victory and still standing on the top position on the BBL point table. Considering their last match which was against Hobart Hurricanes, they played total nine matches where managed seven victories. 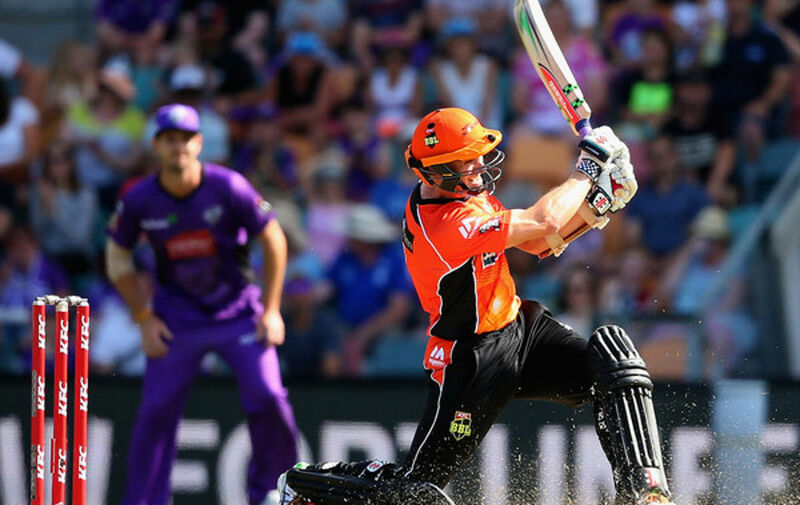 In the match against Hurricanes, Perth Scorchers beat Hurricanes by 5 wickets. The match was so competitive which was also the first match between this two giant teams. On the other hand, Hobart Hurricanes also a good team in the competition and also placed among the top four considering the point table. The match between Hurricanes and Scorchers was the 34th number of match in the ongoing season of Big Bash which was staged in 20th january, 2018 at WACA Ground, Perth. In the match, Perth Scorchers won the toss and decided to bowl first. So, came to bat Hobart Hurricanes almost presented a handsome runs in front of Scorchers. They scored 168 runs losing five wickets. Simon Milenko remained not out with 66 runs in 37 balls. On the other hand, Perth Scorchers came to chase the score and in 19.2 overs, they successfully reached the destination. Cameron Bancroft scored highest 54 runs for the team Scorchers. Finally, Ashton Agar of Perth Scorchers was announced as the player of the match. Hobart Hurricanes started to bat by losing the toss. Openers Wade and Short started their innings. Short was well but in the match, he did not do much better but got out with his 11 runs. Wade played almost well who scored 31 runs. Captain Bailey also played a bit well who scored 37 runs. Top orders failed in the match, but middle orders played well where Milenko scored highest 66 runs so far. In selected 20 overs their score was good enough to compete. They scored 167 runs and totally lost five wickets. Agar and Kelly took two wickets each for the team Scorchers. Came to chase the score, in 2 runs Scorchers lost their opener Whiteman. Later, in 34 runs another opener Klinger was gone as well. Later, Bancroft stood alone and tried to make a partnership and finally with Turner, he made a good score which made the base of winning the match. Bancroft scored 54 runs and Turner scored 50 runs for the team. In 19.2 overs Scorchers made the target.